If you are still unsure about your exact holiday plans let us quote you for car hire and for one of our Ireland self-drive trips. These self-drive holidays allow you have the freedom and independence of travelling around the island of Ireland without relying on public transport and timetables. You can spend as long as you wish immersing yourself in the ancient history and folklore at some of Irelands well known heritage sites and places of interest, as well as enjoy the flexibility of staying as many nights as you wish in that place that captures your heart. Our self-drive holidays offer you the chance to experience Ireland’s diverse scenery, culture and leisure activities whilst navigating and exploring a variety of spectacular landscapes. We offer an array of itineraries like our sample below so please contact us for these options. 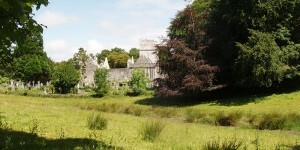 We can also create your very own memorable self-drive itinerary of our Emerald Isle. These tours can be taken at any time of the year and can be as long or as short as you please. All tours are completely flexible and customisable! Please just contact Go Visit Ireland with the following information. Please contact info@govisitireland.com for more information. Dublin is one of Europe’s most thrilling Capitals dating back to over 1000 years. Dublin is a thriving centre for culture and has a great literary tradition, – its native sons include Shaw, Yeats, Joyce and Beckett. Fine museums and art gallaries chronicle its long tradition and colourful heritage. Take time to enjoy the wit and welcome of the people and the warmth and ‘craic’ of the pubs. Just a half an hour from the city you will find quiet beaches, rolling hills, stately homes and castles, mountain walks and fishing villages. The villages and small towns of the county are as charming as the city is exciting. Overnight Dublin. Tour Dublin City either walking or Dublin tour bus. Overnight Dublin in Wynns Hotel. Leave Dublin for the beautiful valley of Glendalough and its monastic sites which create an atmosphere of romance and sanctity. Enroute opportunity to stop off at Powerscourt House & Gardens. 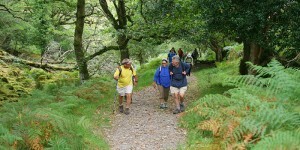 Continue on through the wooded river valley and the Vale of Avoca which is famous for its hand weaving. 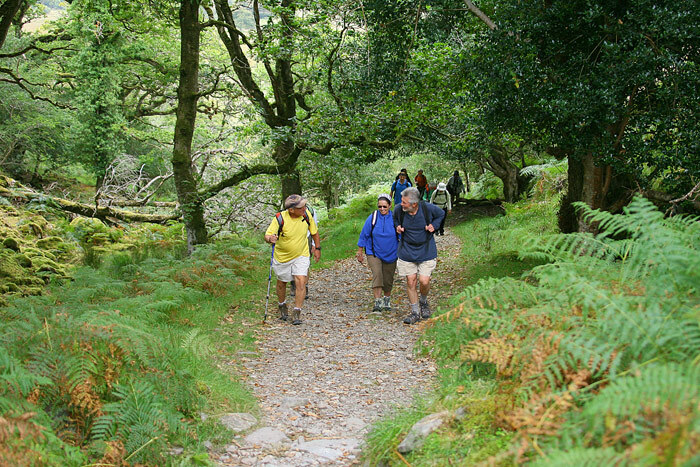 Wicklow is a land of domed granite mountains and purple glens and is known as the Garden of Ireland. Overnight Wicklow. Blarney. 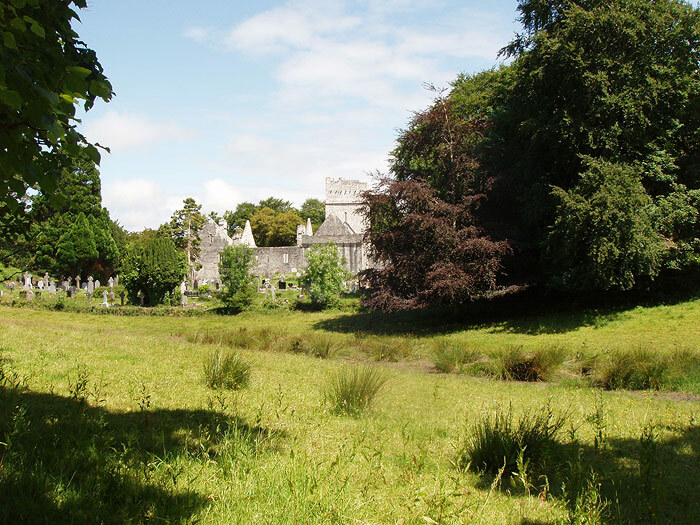 The village of Blarney is just 8km (5miles) west of Cork City renowned for its Castle, this historic Castle is famous for its stone which has the traditional power of conferring eloquence on all who kiss it – and is a must for those who dare!. Just across the village green is the Blarney Woollen Mills store where you can purchase Irish Linens, Knitwear, Crystal and much more. Continuing west to the beautiful town of Killarney. On its doorstep are the magnificent Lakes of Killarney, McGillycuddy Reeks and Carrantoohill, Ireland’s highest mountain. Ross Castle (15th C) is a typical example of the stronghold of an Irish Chieftain in the middle ages and has a beautiful position overlooking Lough Leane. This enchanting 175km stretch of road on the Iveragh Peninsula rewards you with some of the most breathtaking scenery the country has to offer. 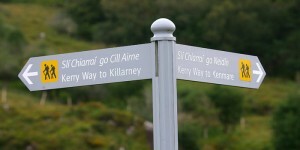 Its dramatic coastline and picturesque villages, the views across Dingle Bay, the Skellig Islands, the stunning vistas of Deenish and Scarriff Islands from the top of Coomakista Pass are a sight to behold. . Stop at Ringfort in Caherciveeen, see where the Irish Liberator Daniel O’Connell was born, then onto Valentia Island by ferry, view the Slate Quarry and Lighthouse before heading back to the mainland. Drive the ‘hidden’ ring through the fishing village of Portmagee, the remote St. Finians Bay, the gaelic speaking Baile na Scelig and onto the seaside village of Waterville. 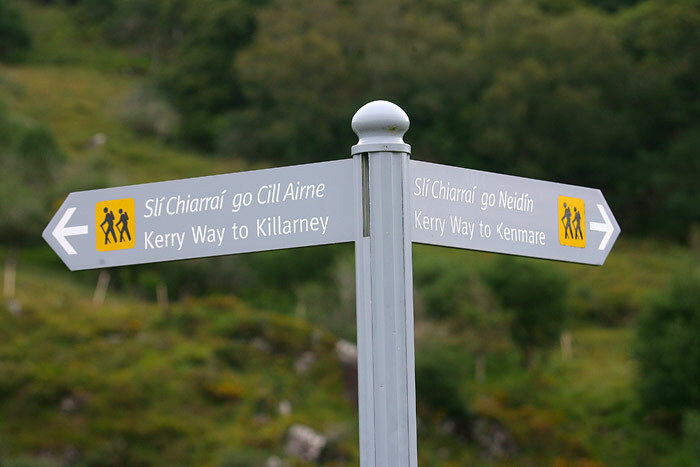 Stop for a quick walk at Derrynane Beach – visit its unique Graveyard before heading back to Killarney. Return car hire to Shannon airport before taking tour flight home.